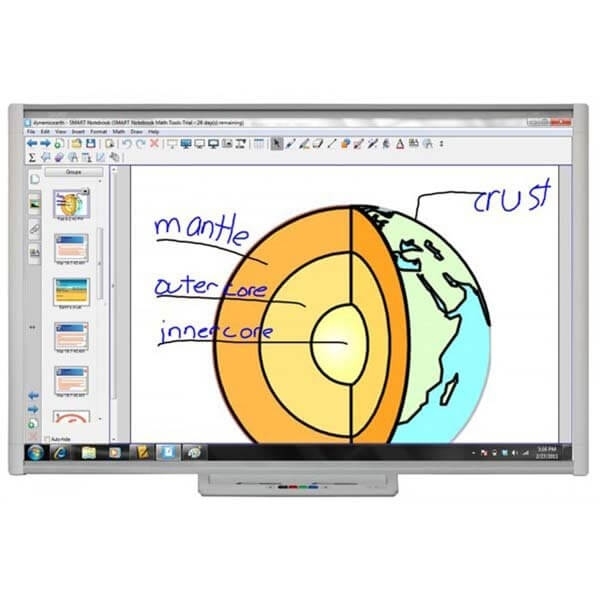 SmartBoard SBM680 Interactive Whiteboard is one of the most popular interactive educational tools in the collaborative communication markets of today. This innovative product by SMART sets high standards for the industry through its focused functionality and ease of use. 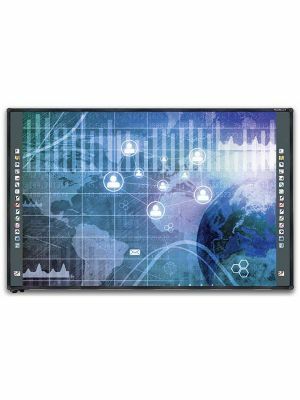 SmartBoard SBM680 is a 77” interactive whiteboard panel that features DViT touch sensing technology to detect touch and gestures. This advanced technology, combined with its dual touch capability, gives users the perfect platform for teaching to their students in an interactive way. The touch system detects all sorts of commonly used touch gestures, making it very easy for users to familiarize with it. The SBM680 comes with SMART Ink function and SMART Notebook software support. Ink is an exemplary feature that makes the use of digital pen as intuitive as using a normal pen. The digital ink accurately follows the movements of the pen that results in a surprisingly natural handwriting and precise annotations. The SMART Notebook is a software built specifically to assist teachers in planning out and delivering lectures. Lessons may be created using different resources, annotated upon as wished, integrated with any suitable software, and finally presented to students who can add their inputs in real time in the classroom. SmartBoard SBM680 Interactive Whiteboard is certainly a great choice if educational institutes are aiming to revolutionize their teaching methods. 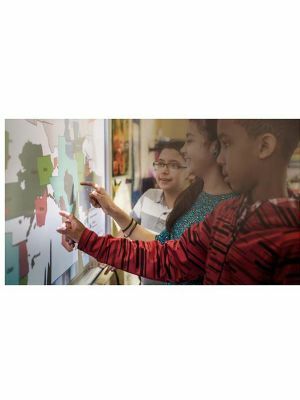 Working in collaboration becomes easily and practical with SmartBoard SBM680 as four people can interact simultaneously and work together with their pens or touch because of its multi touch provision. More user friendly features include multi user pen trays and provisions through which users can select the on screen keyboard and change ink colors. SmartBoard offers a unique and intuitive set of technologies and allow the user’s experience to be as natural as possible. One of the great utilities is the object awareness feature through which the user can seamlessly switch between writing from the pen , erasing from the hand and moving different objects around from your fingers. This feature enables the user to have a natural experience while writing or drawing and facilities better and fast expression of ideas. This feature is always handy in customer client interactions and presentations in a typical office workplace. With the help of its SMART Notebook software, teachers can have access to a plethora of ready to use educational resources which are present on the SMART Exchange website. After having access to useful info, teachers can organize, plan, prepare and manage different lectures which are to be delivered to the students. Thus, the platform has a whole forms a perfect package to assist both students and teachers in their respective requirements. You can install SMART Product Drivers and SMART Notebook™ collaborative learning software from the included DVD or from smarttech.com/downloads. Software upgrades are also available. Q. What does the SMART notebook software do in SmartBoard SBM680 Interactive Whiteboards? Q. Can multiple students work on the SmartBoard SBM680 Interactive Whiteboard? A. Yes, its dual touch technology supports multiple touch inputs which allows users to work in collaboration. Q. 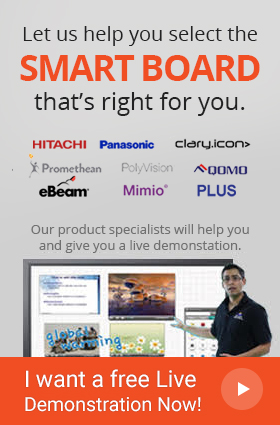 Which operating systems are supported by SmartBoard SBM680 Interactive Whiteboard? A. SmartBoard SBM680 Interactive Whiteboard supports windows and Mac OS. Q. Does SmartBoard SBM680 Interactive Whiteboard come with any warranty? A. SmartBoard SBM680 Interactive Whiteboard comes with a 2 year warranty. Q. 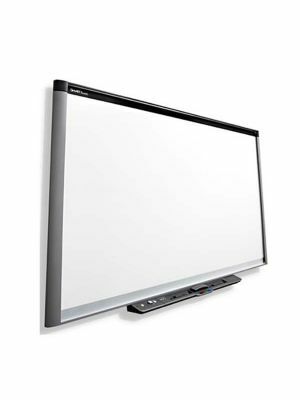 Does SmartBoard SBM680 Interactive Whiteboard support view from wide angles? A. Yes, its glare free surface supports clear view from a variety of angles.